So far, a couple of events like the SCO (Shanghai Cooperation Organization) event, which was held in Qingdao in June 2018, reveal a new world order. The main focus is on relationships between nations and the mutual benefits they offer to each other. Technology, as we know it, has played a major role in shaping the new world order. According to numerous reports that have been made on the topic, most states are working hard to support the idea so that they are not left out of the joint plans to move forward as one planet. Through the Astana Economic Forum, the state focuses on making partnerships with other states for mutual benefits, especially benefits in infrastructure. Astana plans to lure banks and financial institutions that are involved in development like the AIIB (Asian Infrastructure Investment Bank) to support their plans for development. Notably, countries like Italy, France, Germany and the larger part of the EU were some of the targets of the Astana Economic Forum held in the middle of this year. Kazakhstan aims to work out a solution to improve its current condition as soon as possible. Thanks to the new world order, most of the states are open to the development ideas. Developing countries find the proposed plans particularly appealing. According to reports from St. Petersburg and Moscow, Russia is ready to work together with the East to create a balance. Previously, this state opposed the West through the production of military equipment and nuclear energy and the use of political power. By pivoting to the East, both regions of the world will enjoy resources and power in a balanced way. The aim is to have an integrated Eurasia where all states in this region feel included in the decision-making process. As you read this, St. Petersburg is also looking at the new world order as an opportunity to increase its relationship with Asian countries, particularly Singapore in terms of tourism. 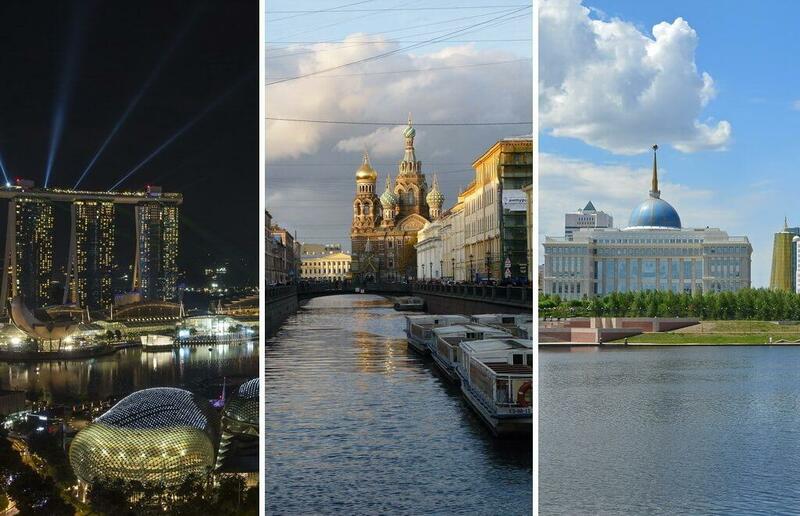 Russia already recognizes Singapore as an excellent holiday destination apart from being an active business hub. The officials from St. Petersburg are mapping the best ways to promote and sensitize this new relationship between them and Singapore to all citizens. Generally, the Eurasia integration spearheaded by St. Petersburg and Singapore has an aim of increasing the transportation corridors for people to travel with ease. One of them is train transport that cuts across this region. Therefore, with new world order, it is expected that Singapore and Russia, specifically, will have more traffic in and out. The two states are already in talks on how to implement an easy way to process travel documents for people who are willing to visit for vacations and business. According to the officials, Singapore has already adopted the ‘’wait and see’’ strategy and most Singaporeans are optimistic that their relationship with Russia will remain positive. This developed Asian state is still improving significantly and will have a lot to give and receive from the Eurasian solutions. According to One Visa, foreign investors are on the rise after seeing the potential Singapore has in manufacturing and technology-related businesses. The new world order has opened many opportunities in the country. The government of Singapore has been tirelessly signing bilateral trade agreements with countries as far away as the USA and China. Singapore has embraced the new world order more effectively than many other states in Asia like North and South Korea. Therefore, the Eurasian plans that are guided by St. Petersburg through various forums this year are likely to benefit Singapore to a greater degree. Singapore is also steering the Shangri-La Dialogue to solve the Indo-Pacific enigma and other challenges that Asian countries are facing. Citing their example of openness to foreign investments and foreign relations for the sake of development, Singapore is urging its neighbors to follow suit and end these challenges once and for all. One of the best approaches is to have an organization that will unite both China and India. This unity is key to success for the entire region. Fortunately, Astana, St. Petersburg and Singapore are open to the idea that the new world order will benefit the entire world.